We invite you to bring your class to one of our school shows this year! For most feature shows, we present reduced price performances during school hours. Please call ahead for schedule and availability. Teachers and educators can book field trips to see our award-winning productions and participate in drama classes by calling or emailing Deb Czajkowski at 623-332-7201 or masquerade519@yahoo.com. 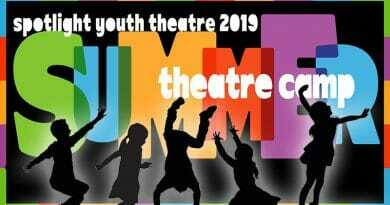 Spotlight Youth Theatre trains young people in our community in all aspects of theatre. Not only does Spotlight focus on the professional training of the student, but our mission is to enhance self-confidence, expression, and life skills. We can offer on-site drama instruction at our theatre or at your location for home-schoolers, public school field trips, and more. See also our Programs section. Spotlight Youth Theatre accepts check, purchase orders, credit cards and cash. All sales are final, and there are no refunds or credits after payment is made. One single payment must be made for each school. Payment must be made within 15 days of the school show, unless special arrangements must be made.